Casinos, especially online ones are always on the hunt for ways to keep their customers engaged. One of the latest technologies that threaten to take over the online casino industry is virtual reality (VR) tech. The tech is currently being used by major names such as NetEnt to create VR tournaments. One of the tech companies leading this effort is NetEnt casinos maker. The company recently partnered with Bethard, a gaming company to create a virtual reality game. This casino game gives players the chance to play in three different environments which are space, volcano, and underwater. It is based on a sports roulette table, where players see a live feed of football results. The joint venture shows the potential that NetEnt Live casino technology holds. NetEnt is working with numerous online casinos to launch VR games. The virtual casino games generate a virtual multi-table playing area. The user experience is high-quality thanks to the use of multiple camera positions. These camera positions are so good that they offer visibility for other tables. This makes it easy for players to switch tables without the need to return to the lobby. Right now, four casinos are using the virtual casino tech created by NetEnt. There is a good reason to believe this number will continue to grow. What exactly is VR Technology? Virtual Reality is a simulation that is computer generated. You enter this world using a VR helmet. There are numerous options for the VR helmets in the market from which to pick. The VR helmet is sealed off to ensure that light and sound from outside do not enter, which could ruin the gaming experience. The casino industry is already moving from physical casinos. This tech could help to extend the trend by improving the user experience. It could allow for unprecedented customization. For instance, it might be possible to play against a whole table of players inside a hotel room. A VR experience might be more fulfilling than playing on your computer. The whole point of going to an online casino to play online slots is to get a temporary escape from reality. Thus, VR would be a more attractive alternative for players. Tournaments might be the way to get started. However, there is no telling how the tech could be used in the future. It is especially interesting to watch how it plays out with major companies such as NetEnt getting in on the action. One of the main issues that VR might face in the casino world is tough regulation. Many countries are increasing regulation for online gambling. This is happening at around the same time that VR is entering the casino world. However, it is worth noting that the unlicensed offshore industry in the casino world is still huge. This might be where VR games first make their mark as they await regulatory issues to be resolved. No matter how hard online casinos work, it is still had to beat the experience being in a real casino. One aspect of this is the social part. However, VR tech could help to deal with that. Some feel that if VR tech gets to a point where the experience is completely similar to playing in a real casino; it could succeed a lot. However, VR tech is not there yet; you can still tell that you are in your helmet and not at a physical location. If the tech continues to improve, this might become possible. With slots characters being brought to life with the help of VR tech, it is definitely something that most players will want to try. It is possible that this technology will be a hit with many in the gaming world. It is especially so as the price of VR headsets continues to fall and the design improves. However, the issue of red tape could hold it back a bit. It is likely that the technology will even be banned in some jurisdictions. Having said that, companies such as NetEnt will continue to examine the tech and find use cases for it in the casino world. 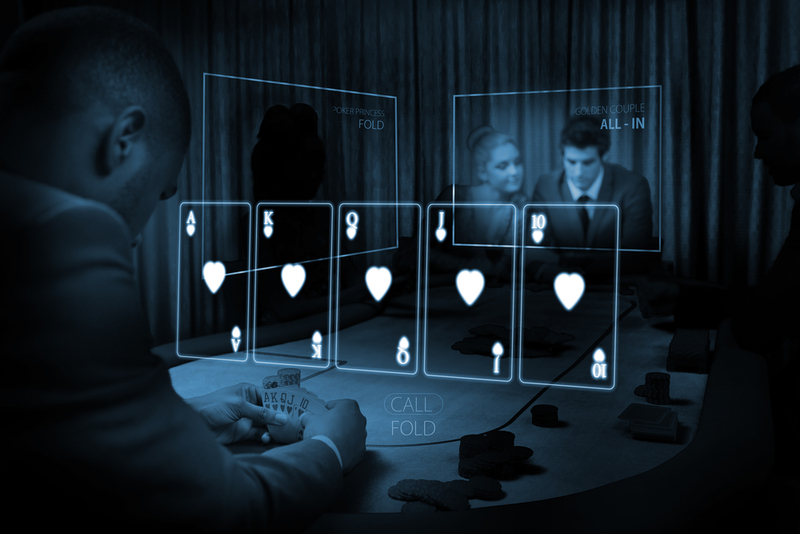 It is expected that VR technology will feature prominently in the casino world one day. With online casino user uptake almost plateauing, the tech could be what determines who survives in the online casino world.